Today’s Tinhorn Creek Stage 6 on Moonrakers & CBT in Golden wrapped up this year’s event on an incredible route put together by the Golden Cycling Club. This route was intimidating being the Queen Stage of the epic with 57 km of riding and 1650 m of elevation. But the flowy and scenic rewards were abundant and good weather continued, helping to push racers along to the finish. After completing more than 230 km of mountain biking in less than a week, some were (understandably) tired, many relieved and all were accomplished. After finish line high fives, fist bumps and hugs… riders were awarded their ST6 belt buckle to commemorate conquering the west on their mountain bike steeds. There’s no doubt that some parts of the course demanded everything; both physically and mentally. The response to the course has been “what a ride” including the terms: challenging, fast, grindy and jaw dropping scenery, all-in adventure and “yes please”! Congrats to all the riders of the 2016 Singletrack 6! A sincere thank you goes out to all of you for the time you took to come to this event and to the host communities, trail groups and clubs for coming along for the ride. 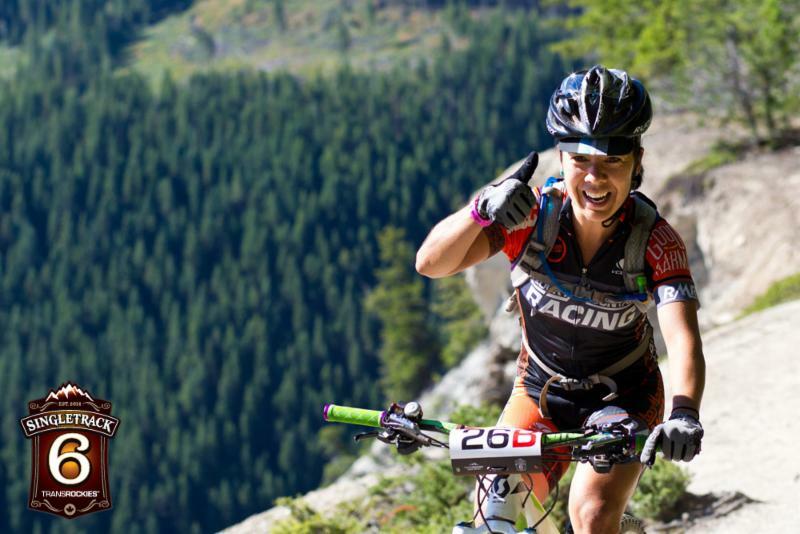 We hope that our passion for mountain biking, and sharing the best riding that Western Canada has to offer has left you with memories to last a lifetime. We can’t wait to show you what we have in store next year in the West Kootenays! During the first two stages of ST6, Israeli/US rider Rotem Ishay (Jamis | Vittoria Tires) was a force to reckon with in the solo open men’s category. After many years of racing, his approach is “listen to what the body needs” and when the tank went empty during the middle stages, he changed gears to fun mode. On this last day however, Rotem was feeling good and the message he got was to “keep it going”, “blast up here”, “gain time there”. As a result, he finished Singletrack 6 as he started it… as the stage leader. Today was a day of change in the solo open women’s field as Kate Aardal (Ridley’s Cycle) hammered hard, beating out stage 1-5 winner Sonya Looney (FreakShow | DeFeet). What a week of racing! Everyone gave everything and handed over the keys to fate. Good weather kept morale high and there were stories of accomplishment for all; whether at the front of the pack or the back. Mathieu Belanger-Barrette’s (Pivot) consistency paid off for the overall men’s win in a total time of 12:52:04.7. Manuel Weissenbacher (Craft | Rocky Mountain) took 2nd place with 12:58:59.6 and Andreas Hartmann (Craft | Rocky Mountain) ended in 3rd place with 13:00:16.7. Sonya Looney was a consistent threat, resulting in a top place finish time of 14:53:49.8. Kate Aardal took 2nd place with 15:03:51.0 and Jodie Willett (For the Riders) was 3rd place with 15:28:46.8. Six stages complete, time to celebrate! The Timed Descents (TD) were always exciting and the Fernie and Golden stages got the most recap discussion. Thankfully, perfect weather let riders open it up day after day, so they could rip on some of the West’s most phenomenal single track descents. Wendy Simms of Nanaimo (Kona-Frontrunners) was the overall winner for the ladies with a total time of 0:52:16.4, making this two consecutive years on top of the downhills. Peter Watson (BPR | Cannondale | Kelowna Cycle) was the overall men’s winner of the TD with a total time of 0:43:37.2. 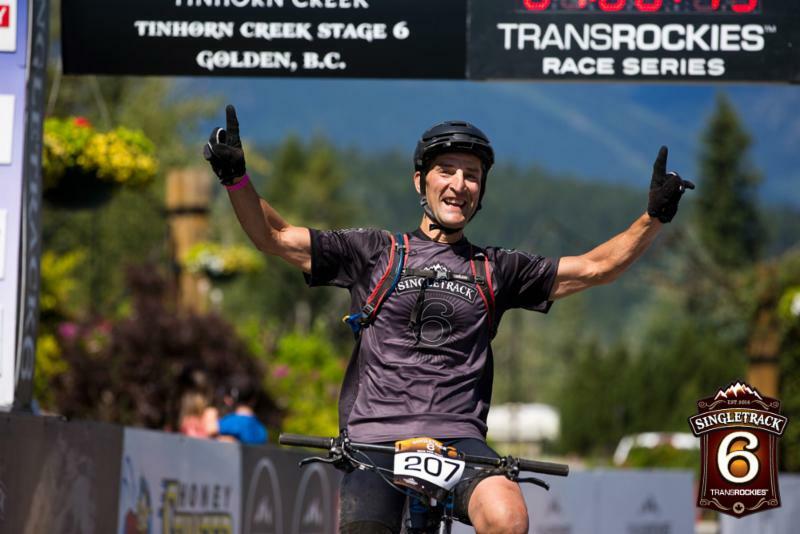 Also, congrats to the winners of our final stage; the Tinhorn Creek Stage 6!